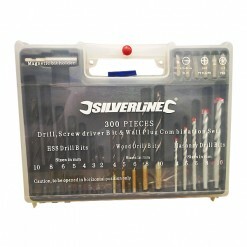 Approximately 300pce set including 7 x metal drills (2-10mm), 5 x wood drills (4-10mm), 5 x masonry drills (4-10mm), 6 x screwdriver bits (2 x slotted, 2 x Phillips, 2 x PZD), 1 x magnetic bit holder plus a selection of 5, 6, 8 and 10mm wall plugs. Keep on top of your work with bulk buying! 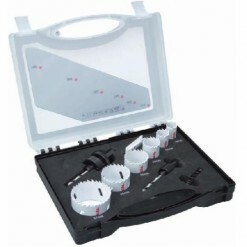 These bits are ideal for fastening work with metal screws, auto drilling and long wood screws. 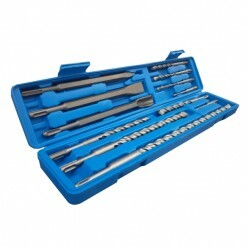 Chisel Bit Set SDS+: 5.5, 6 x 110mm; 8, 10 and 12 x 160mm; 14, 16 x 210mm; 18 x 300mm and 20 x 450mm. Chisels: 1 x point, 1 x flat and 1 x groove. In sturdy case. Makita electrician’s holesaw kit contains Bi-Metal holesaws, designed specifically for electrical fittings with the most common required hole sizes. Suitable for cutting wood, metal, aluminum and plastics. Supplied in a durable plastic carry case. 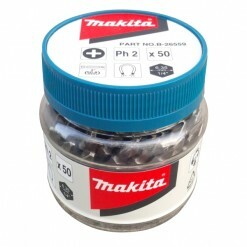 Makita electrician’s holesaw kit contains Bi-Metal holesaws, designed specifically for plumbing fittings with the most common required hole sizes. Suitable for cutting wood, metal, aluminum and plastics. 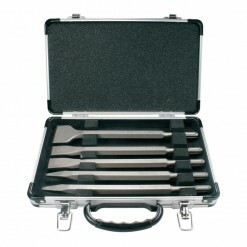 Supplied in a durable plastic carry case. 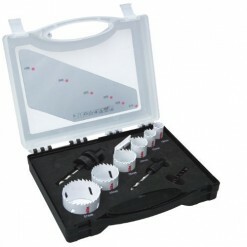 These bits are ideal for fastening work with metal screws, auto drilling and long wood screws.